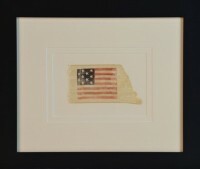 Antique 42 Star Flag Circa 1890. Made of an unusual cotton like gauze fabric. Appears that it has been wet at some time in its past and was wrapped up which has caused a crinkle look to the colors. Made by stenciling by hand. 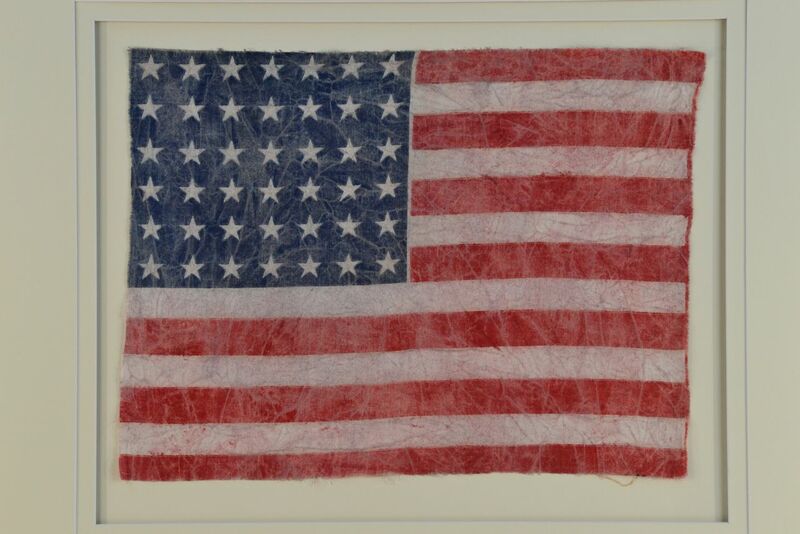 The 42 Star was basically obsolete along with the 39, 40, 41 & 43 star flag on July 4th 1890 when five States were added to the Union at one time. Benjamin Harrison was President during this period of American history. Historical Americana Company, uses modern museum framing technology to frame our antique flags. 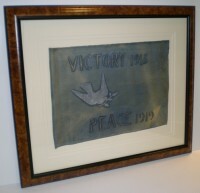 Our in house professional framers use only conservation framing methods used by museums & library’s. 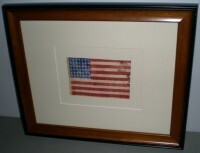 This is a authentic antique American Flag and is not a copy, reproduction or imitation. 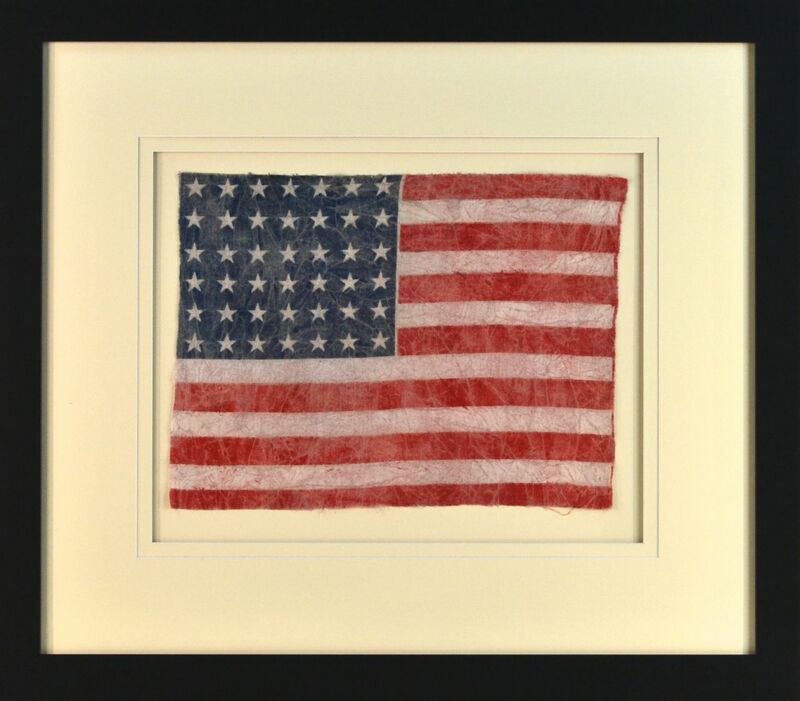 Each authentic antique flag shows the actual wear, age and use as it has been passed down through time. 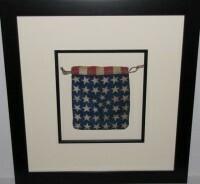 Upon your purchase each flag is carefully wrapped and packed with great care. You will receive great flag information and The Flags Certificate of Authenticity. Email for price, please include item number. We accept, Master Card, Visa, American Express, Discover and PayPal. To purchase email [email protected] or call.